a passionate Malaysian based wedding and portrait photographer who travels for the sake of love and passion towards photography. 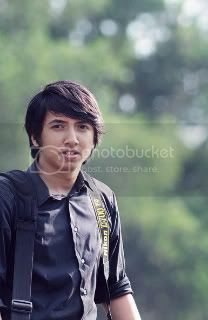 currently working as a Senior Photographer under the name of Mukhriz Latif & Udey Ismail Photography after a period of training and struggle. he built up his creativity all by himself and ensure the moments being capture as beautiful as the day was. he puts couples at the most comfortable way with his easy going and enjoyable way of doing photograph to ensure the couple are able to fully express themselves while enjoying their big day. being a detailed person himself, he will ensure that every inch of the wedding are well documented. he always strive to do better in the next shoot, and will always keep looking for inspirations and new ideas to meet his client's needs and satisfactions.